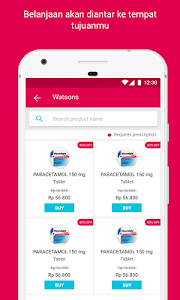 Halodoc allows you to chat with general practitioners and specialist, buy medicine, and lab test in one application. Simple and easy, just #UseHalodoc! 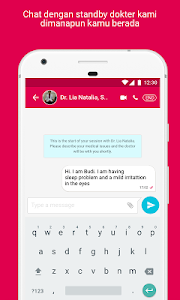 Consult with our doctor via chat, voice/video Call and our Halodoc’s general practitioners and specialists, who are registered in IDI will answer all of your question. 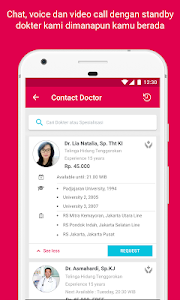 Don't hesitate to ask the doctor and chat with the doctor anytime and anywhere. 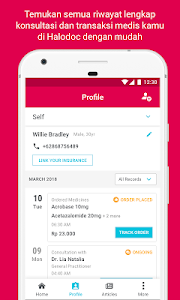 Get FREE promos to contact doctors 24 hours non-stop. 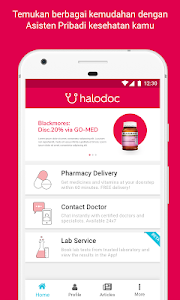 Buy medicine and other healthcare products are easier with Halodoc. 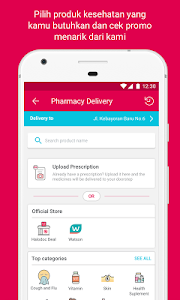 Halodoc guarantees the authenticity of the medicine sent to you, where package will be sealed and delivered safely within 1 hour. Our service are available 24/7 and FREE DELIVERY. Halodoc and Prodia are here to provide the lab service you need. Pick your own place and date, the lab officer will come to you. The result will be available on Halodoc app. Need further explanation about your result? Ask directly to the doctor in Halodoc. Get various tips on health from trusted health articles in Halodoc app. There are thousands of health articles available and can be accessed anytime anywhere for free!" 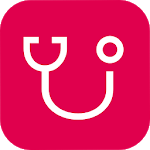 You can now receive referral to other doctor or specialist from your Contact Doctor sessions. 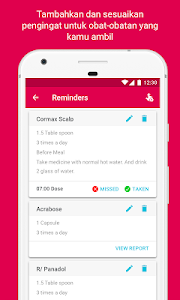 Schedule a reminder for your follow-up sessions with your doctor. Similar to "Halodoc - Doctors, Medicine & Labs"